I love the whimsy and magic of Easter. I like hiding Easter baskets, picking out new dresses, and gathering a gaggle of kids for a good old egg hunt. But as fun as these traditions are, they pale in comparison to rich traditions that bring to life the Gospel. As a mom, I treasure the Easter traditions that aren’t just fun or cute, but that remind my family of the power the Easter story — that Jesus took on flesh just to die for our sins and defeat the power of death forever. Here are some of our very favorite Gospel-centered Easter traditions. Explain it. This may sound incredibly obvious, but sometimes I miss the forest for the trees. As the Easter season approaches, take a few minutes to have a family conversation about what we are celebrating. Even very young children are capable of understanding that Jesus died… but He didn’t stay dead! Go “dark” during Holy Week or Good Friday. To honor the solemnity of Holy Week, consider abstaining from social media, gaming, and TV from Palm Sunday to Easter. 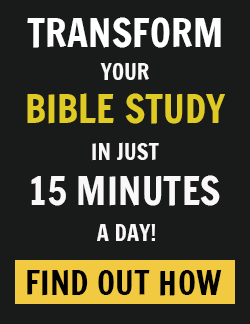 Replace this time with reading Scripture or an Easter devotional, watching a meaningful Easter movie, or just… (gasp) being silent, and reflecting. A twist on this is to go literally dark on Good Friday — to have no lights on in the home all day. This is a powerful reminder of the day’s somberness. Celebrate a Seder feast with your family. This deeply symbolic meal is generally celebrated on the Thursday or Friday before Easter. Each food in the feast has a rich theological meaning that you can discuss as a family and even read a corresponding Scripture verse. Attend a Good Friday service. I grew up attending a richly liturgical Good Friday service, and I still remember some of the hymns and rituals from these services. Make Resurrection rolls on Easter Sunday. After baking, these rolls have an empty hole inside, just like the empty grave! If you are like me, your calendar is packed and your to-do list is long. And yet, celebrating rich, meaningful Easter traditions with our children is absolutely one of the best investments of our time. The days do seem so long for us parents, but the years are short. Make the best of them! 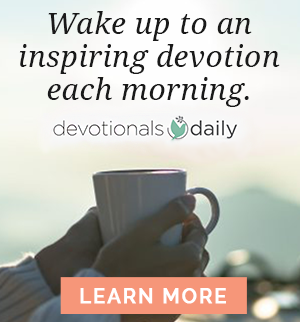 If you are longing to create intentional memories with your children, you may appreciate the practical encouragement in Memory-Making Mom: Building Traditions That Breathe Life Into Your Home. 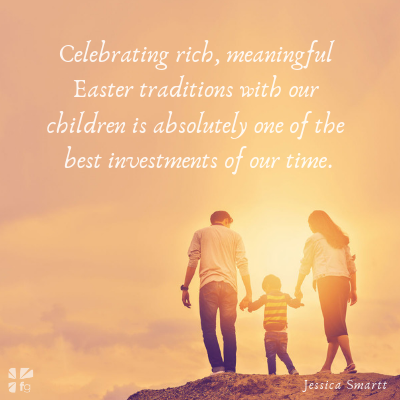 Written for FaithGateway by Jessica Smartt, author of Memory-Making Mom. What Easter traditions does your family have for bringing the Gospel to love? We’d love to hear your thoughts in the comments! Jessica Smartt is a former English teacher turned homeschooling mom of three. A week after her first baby was born, she began her motherhood blog "Smartter" Each Day. Jessica and her husband live in sunny North Carolina, where she loves hikes with the kids (mostly), steaming coffee in the afternoon, family bike rides, and anything that's ever been done to a baked potato. In March Jessica released her first book, Memory-Making Mom: Building Traditions That Breathe Life Into Your Home.